Located in the heart of the city, opposite the tram station and a stone's throw from the historical center and the business district of Mériadeck. Spend an enjoyable night in modern, air-conditioned rooms for 1, 2 or 3 people with 24-hour reception, secure car park available at a charge and free WIFI access. Receive 10 percent discount in our restaurant and enjoy the benefits of a gourmet breakfast at a great price. For the Double Room: Stylish Cocoon Room featuring a double bed with a soft duvet, shower and toilet. Take advantage of the flat screen TV with many channels, multimedia connections and WIFI. Staff were nice and good to deal with. The room was clearly the smallest version of the available room that I could get as it was on a corner of the building. It was much smaller then the photos. The bed sheets weren't tucked in properly. No rubbish bin. The worst of all was that the Aircon did not work, it blew air but provided no cooling. It was a very disappointing stay. The location was very convenient for walking around -- to local restaurants, to the old part of the city, to the amazing court building designed by Sir Richard Rogers, etc. We arrived on a Sunday, so parking on the street was free until 9:00 a.m. Monday morning; then less than one euro per hour for the last few hours of our stay. Friendly staff and clean accommodation. Main breakfast room was a little tight, but there was a bright, more comfortable room just beyond, which most people didn't seem to realize. We found the mattress too hard, there was no soap/shower gel in the shower unit. 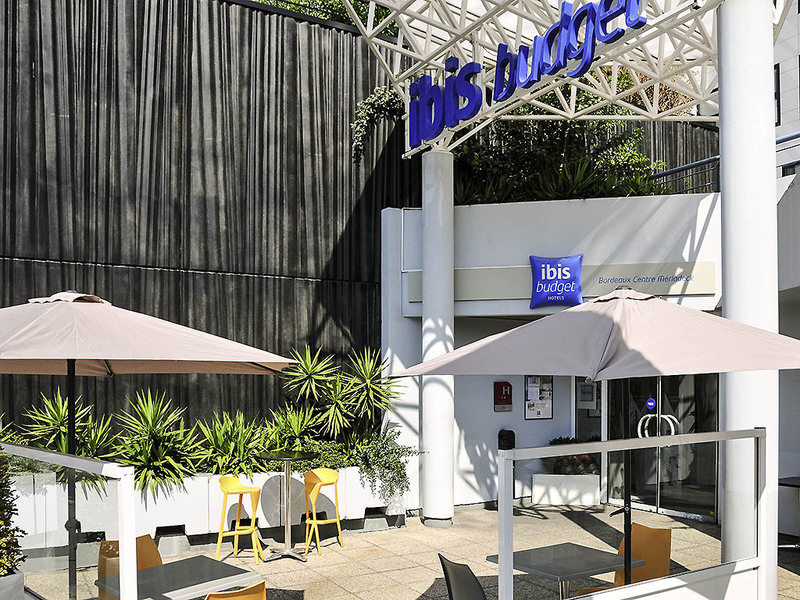 We normally stay in the Ibis side,but thought we would try the budget side of the hotel.We won't be staying at the Budget side again. Very friendly staff and comfortable room. Perfect for what we needed. Friendly staff. Comfortable bed- practical room and space for a budget room. It is quiet and very well affordable. The rooms are really small but clean. Strange thing was a manipulated smoke/Co2 detector. I loved it!! Nice staff, nice rooms, located at a good spot and it was very cheap. Rooms are small but well designed and the third bunk bed makes handy luggage storage. Dog friendly and with secure parking, it made an excellent stopover en route south. The hotel is not far from the city center and it is perfect to have a private car park, the car park is even cheaper than the public ones on the street. And the staffs are quite helpful. Hard bed, room too hot. The bed was so hard it was difficult to sleep, room was too hot, and air conditioning did not work. All in all a very uncomfortable night. We like to stay in Accor Hotels and do it for a long time. This stay was ok, besides the mosquitos, until we went to eat in our room and and my wife saw an cafard(cucaracha)... I took a picture of it and it was not nice. After that, when we went to sleep late at night, the only matress availabre was for single. It was around 11•C in Bordeaux. We are going to Paris in a few days and were thinking on getting an Accor room again, but now i'ts hard to say. It was as expected, except for the guy who barged into my room late afternoon, when I had just showered, and wasn't fully dressed. I complained to the reception, and they said he must have thought the room was empty.. I replied that he still could have knocked, and given me a chance to cover up. I was severely traumatised, as an older woman alone, and they would not even apologise to me, or assure me that staff would knock before entering in future. All they did was make excuses, no apology. We had a couple of days in Bordeaux staying at the ibis budget. It was exactly as described. Compact and clean. Staff were great and very helpful. Our only problem was that we encountered mosquitoes in October ! Hadn’t prepared for that and came back bitten alive . We got a spray can from staff but this didn’t eliminate them all. The hotel is far too warm!! No air con!! Bed room was 30 degrees. I was moved to a different room but this was also too warm and after two days stay we have no sleep and covered in mosquito bites. Staff told us air con is not switched on in October but all of hotel was far too warm!